The marina in Spain in the city of Roquetas de Mar has a complete range of services available to its customers, which include water, electricity and gas station.. For those who would like to carry out maintenance work or need to repair their boat, the marina Puerto Deportivo de Aguadulce has a travelift for boats up to 50 tons. It is a marina with large capacity for large size boats, taking into account the number and size of its moorings (max. length: 25.00 – max. draught: 6.00).. 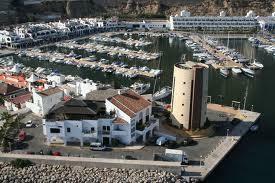 If you are looking for a port with nautical services, Puerto Deportivo de Aguadulce has some available.